Weigh anchor and prepare to attack! 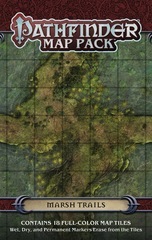 Whether heroes are defending their city from an enemy naval attack, boarding a pirate fleet to rescue an ally, or heading into battle with their seafaring allies, the armada is there to carry them into further adventures, and Game Masters shouldn't have to draw every deck plank and belaying pin. 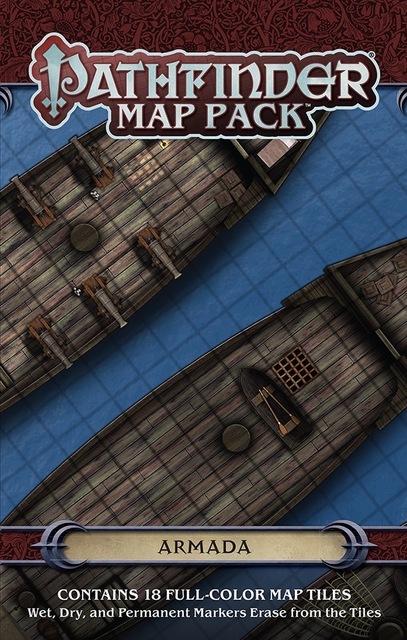 This Pathfinder Map Pack provides 18 beautifully illustrated 5" × 8" map tiles that can be combined into a variety of ship configurations. With Pathfinder Map Pack: Armada, you'll always have dangers ready when the adventurers decide to take to the sea!